With our experience of more than 130 years in stevedoring and warehousing we are your contact, we are an innovative handling and storage company with modern cargo handling technologies and port logistics. 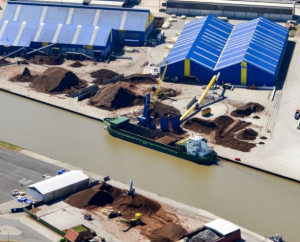 Schulte & Bruns is the largest port-operator in Papenburg, the most southern seaport of Germany. 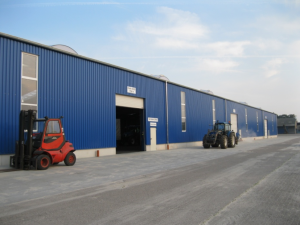 At eight attractive locations you have a wide range of handling and storage options available. 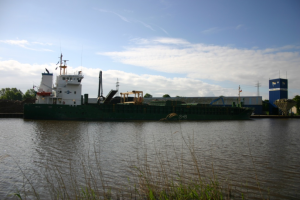 Barging is an important link between the port and the channel region and the Rhine. The seaports Papenburg and Emden are connected via the Ems River with the Central European waterway network. We ensure the environmentally sound mastering your transfer orders of goods of all kinds. 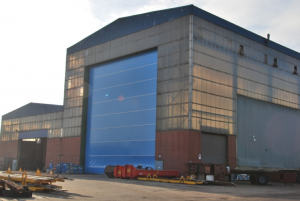 Here, Schulte & Bruns serves modern, suitable for dry good barges in ship sizes from1,200 mt up to 1,600 mt viability. Take a picture and contact us at the appropriate locations. 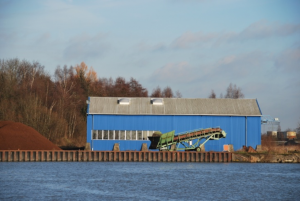 The southern most seaport Papenburg allows you turn over your cargo trimodal and send to the Ems-River to the largest inland ports. Your transport is our business. 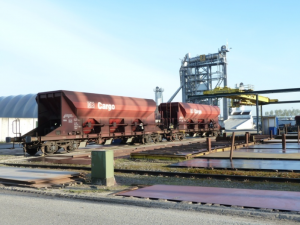 Our own railsystems provide Schulte & Bruns both in Papenburg and Emden in a wide range of services along the logistics chain at your disposal. 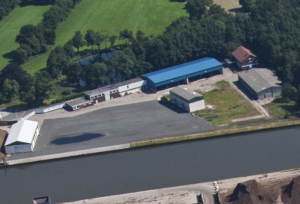 In the seaport Papenburg Schulte & Bruns has approximately 1.600 m track connections with in-house interconnection.